This program of magic with a message is designed to help students realize that although each of us may be unique on the outside, we all feel the same on the inside and have the same basic need for acceptance and respect. The end goal of every performance is to encourage and inspire students to create a safe and happy school community. 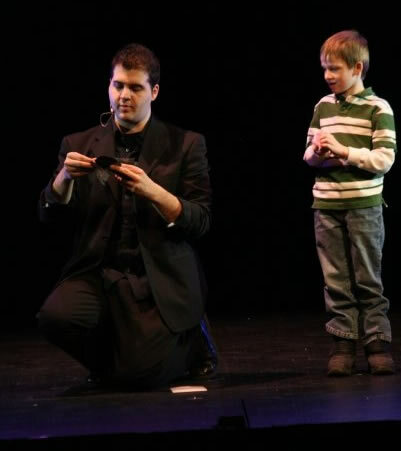 Through interesting and cutting edge tricks and illusion, Michael presents a funny, fast paced, interactive and entertaining program that will also educate on the growing issue of bullying and teach them how to find the HERO inside of them. - What is a Bully? - Am I a Bully? - How can I stop / prevent bullying? - Damages caused from bullying. 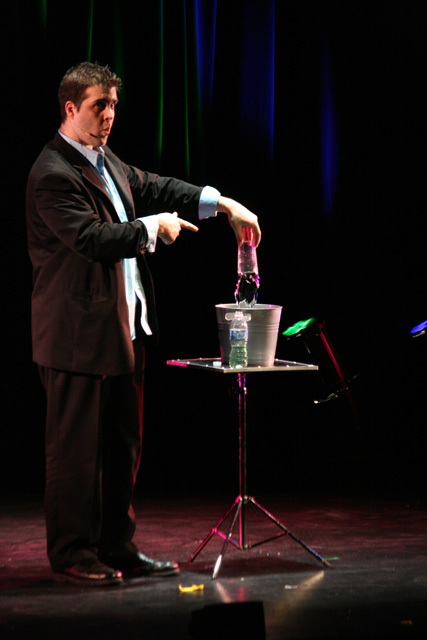 The show has a very modern look and feel to it; forget about tails, top hats and abracadabra, this is a magic show that will create a buzz within your school and something the students will remember for years to come. The show can be presented with audience size up to 600 students. A live bird also makes a magical appearance, which certainly captivates the children! Furthermore, Michael is sure to incorporate many volunteers into his show having them truly experience the fun and magic for themselves! It's education meets entertainment! Everything is provided, including a sound system, backdrop, microphones and of coarse - the magic!